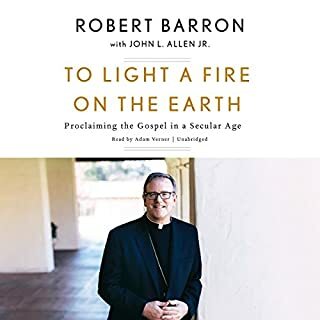 Father Barron reads his own book, and that's a very good thing for the listener - he is a gifted speaker and preacher, and in addition, being the author, he also knows which words are emphasized, where the tone should be humorous or wry or serious. The material is never dramatized, but it is never dry or boring - I was enthralled throughout the four hour reading. 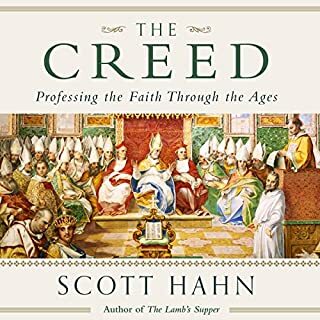 I had a fairly good layman's understanding of the Eucharist, but this book has gone far beyond what I knew and has added greatly to my understanding. At several points I was moved to tears of gratefulness to our good God, who has provided for us forever, who has not left us orphans. Only God could conceive this sacramental system. No human mind could have ever imagined such a perfectly beautiful, perfectly fitting, perfectly sustaining way to be "God with us" until the world ends. How awesome is our God! This book is not only theological and apologetic, it is full of scripture quotations and poetry and artfully painted word pictures. You don't have to be a theologian to understand it. 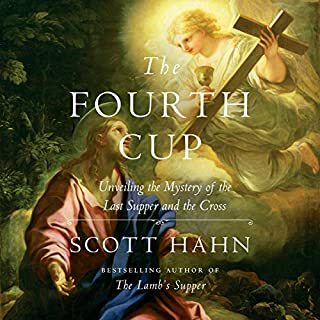 From beginning to end, the book shows how salvation history has always pointed to Jesus Christ in the Eucharist as God's plan for sustaining us until He returns. I would recommend it to anyone who would like to deepen their understanding of the Most Blessed Sacrament or increase their love for God. 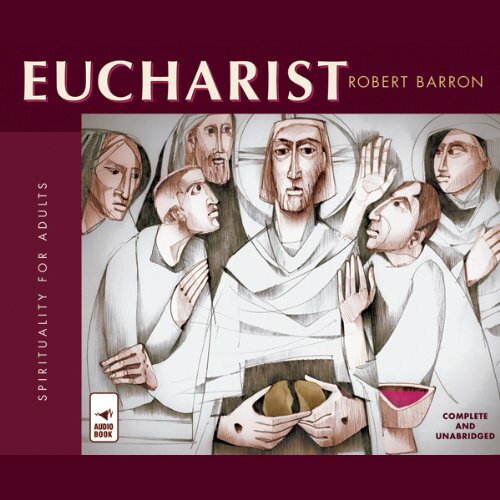 Barron's short little book covers the nature of the Eucharist: as meal, sacrifice, and real presence. 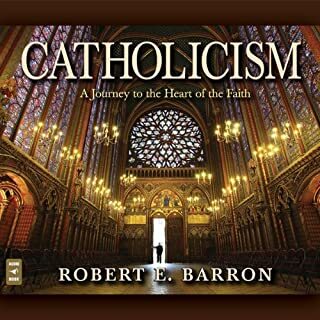 I enjoyed Barron's Catholicism: A Journey to the Heart of the Faith, and this book did not disappoint. I knew I was in for something good when Barron referenced Babette's Feast in the introduction. As meal, the Eucharist is inclusive and inviting, bringing all to the table to enjoy the banquet of God's love and grace. As sacrifice, the Eucharist is Christ's body, broken for us as a sign of that overflowing grace. As real presence, the Eucharist is transubstantiation, not only bringing the presence of Christ to us in a very real way but making us into the real presence of Christ in the world. I like how Barron included many different approaches, including film, literature, Scripture, and historical debates in the book. I would recommend this for any Catholic seeking some motivation or anyone curious about Catholicism. What made the experience of listening to Eucharist the most enjoyable? What other book might you compare Eucharist to and why? He is very current yet very orthodox. He is a gift to the people of the Catholic Church. You can never learn enough about the Eucharist. I have read and listen to numerous book on the subject. I always learn something new. 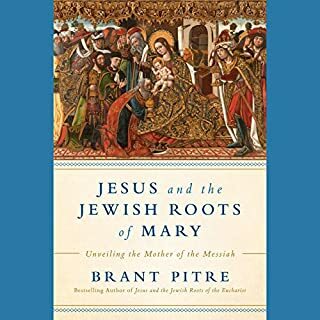 This book is good for the lifelong Catholic or someone just wanting to know about the faith. He is the Catholic voice of reason and intellect in the US. Many people have struggles with the Christian faith and the Catholic Church in particular. For most, it is enough to simply hear about the articulate arguments of highly educated naysayers and assume Christianity has no valid argument. But those people are academically lazy and sadly ignorant of the wealth of intellect, reason and logic within Church doctrines. A brief sample of the author's work here should suffice as a more than adequate example of the intellectual depth most of us long for in defense of our faith. Bishop Barron is the author and creator of the Catholicism Series recently aired on PBS. His youtube station is extremely popular as well. Do yourself a favor and look up some of his clips. This book is an in depth view of what the Catholic Church claims is the source and summit of the Christian life. It is thoughtful, and eloquent. In my opinion it needs to be liistened to repeatedly, or read and listened to simultaneously. It is a vitally important subject matter for any follower of Christ. I was looking for some good Catholic reading and knew that Bishop Barron had a lot out there. I had seen some of Catholicism series and a random YouTube of his. But this book knocked me off my feet! It is clear, engaging, educational, and inspiring. It helped that we had seen the movie "Babette's Feast", but it is not necessary. You will definitely want to watch it after reading this book. He is a fantastic teacher. And the richness of the Catholic Church and the Eucharist presented here is mind blowing! I intend to listen to this book over and over to try to absorb all the teaching that is here. On the one hand it is simple enough to grasp the concepts and at the same time so deep that one could mine the riches of these teachings for years. As a new Catholic this has been an invaluable part of my formation of faith. This book clearly and succinctly puts, into words and explains, what I could never before express on my own, regarding my belief in the Holy Eucharist. I will listen many more times, it is most edifying and sometimes I need that. I love Father Barron's work! I really enjoy Father Barron's books, YouTube videos, etc. They certainly help me to grow closer to my Savior. Keep them coming! Fr Robert Barron is a gift to the Christian world. 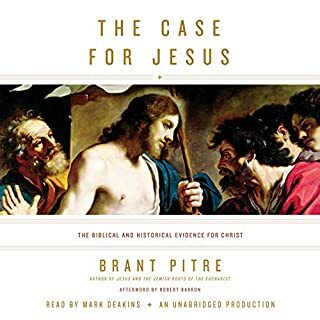 His theology is sound and historically accurate, but he brings complex Christology right up to date for the modern age by using metaphor and language which readers/listeners can relate to. Of course, this is written from a Roman Catholic perspective because that is what Fr Robert is, a Catholic priest, but there is much in this little book which any Christian could find valuable and which enquiring non-believers might be interested in. It's not a long book and that is to it's advantage because in increases it's already impressive accessibility.